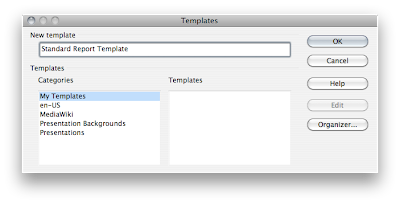 If you write reports or other documents that need a common style and format, the obvious thing to do is to use Templates. Click on My Templates and give it a name eg "Standard Report Template"
Go to File > Templates > Organize, click into My Templates, and then on the saved Template, right clicl and select "Set As Default Template"
What if you have a bunch of documents and you need to change the template on already created docs? Click 'Add', select the .oxt file, and click Open. 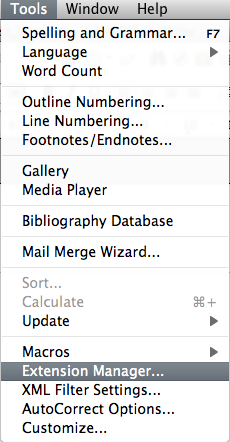 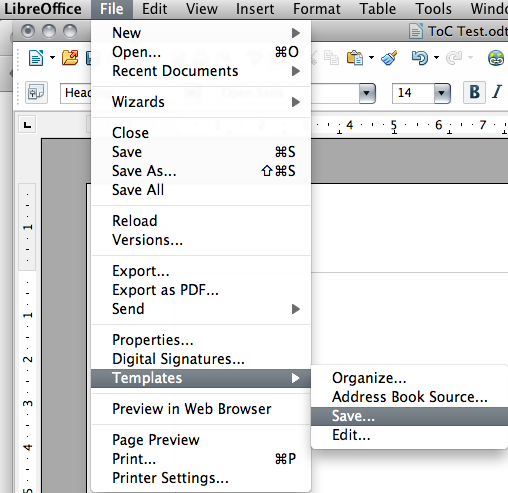 You'll need to restart LibreOffice for the Extension to take effect. 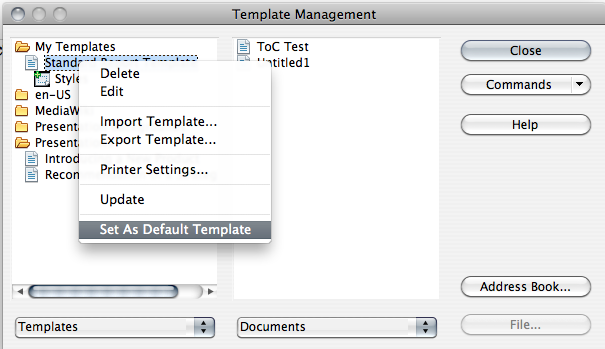 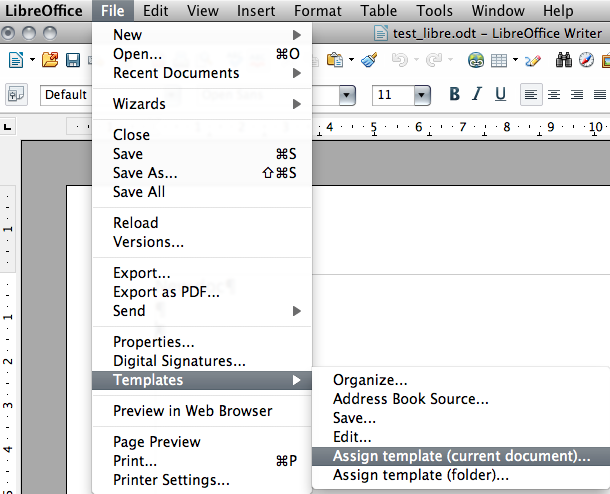 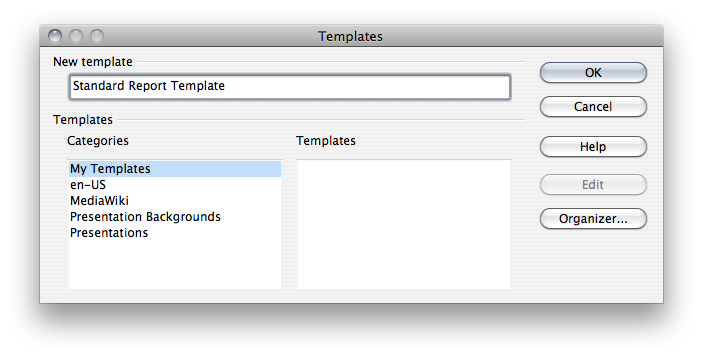 This allows you to assign a template to an existing open doc, or to an entire folder.